In one of the highest profile stunts on Twitter this year, Maezawa said he would pay out 100 million yen to 100 people who shared one of his tweets. Tokyo: The flashy chief executive officer of Japan’s Zozo Inc. said he’s taking a break from Twitter, sparking a relief rally in the battered shares of his online fashion site. 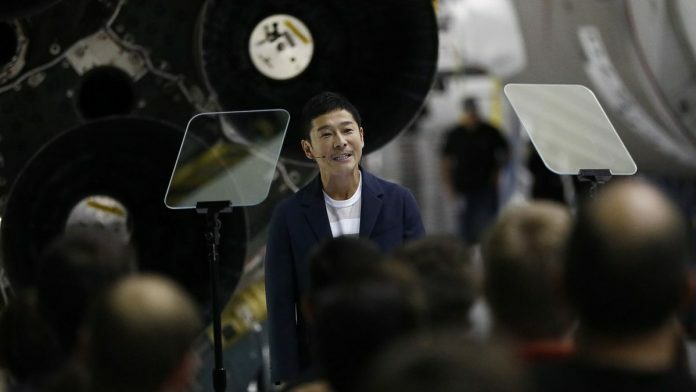 Yusaku Maezawa, Japan’s answer to Elon Musk on social media, saw his shares tumble 17 per cent over the four trading days through Wednesday after lowering his profit outlook for the current fiscal year. The stock reversed losses Thursday after Maezawa said he was going to stop using Twitter and closed down 1.1 percent in Tokyo. Maezawa pulled off one of the highest profile stunts on the social media platform earlier this year. In January, he said would pay out 100 million yen ($909,000) to 100 people who shared one of his tweets, resulting in the post getting retweeted a record 5 million times. Maezawa had followed in Musk’s footsteps, growing a large and vocal following on Twitter which he uses for everything from product promotion to recruiting job candidates to sharing his breakfast meals. With his posts mentioned almost daily on national television, that’s raised the stakes to continue supplying content. His break comes amid a growing debate over the value of Twitter for executives at public companies. Musk ran into his own troubles with the U.S. Securities Exchange Commission after floating the idea of taking Tesla Inc. private last year. He settled the dispute with an agreement to cede the chairman’s post while remaining CEO.